As Texas A&M athletics basks in its unprecedented success over the last five years—with new facilities and national championship trophies sparkling all over campus—kudos and congratulations should be directed to thousands of A&M supporters who have helped realize the dream. But perhaps no Aggie has given more of himself, either through his drive for excellence or his vision for philanthropy, than Jerry Cox. Indeed, it's fitting that he and his wife, Kay, have been named as the 2012 recipients of the E. King Gill Award presented each year by the 12th Man Foundation. The award recognizes those who have shown the commitment as a volunteer advocate of the athletic program through exemplary service and leadership, while demonstrating a high level of distinction as a role model in career, service and ethics. The Cox family was surprised with the announcement at halftime of the LSU game at Kyle Field. 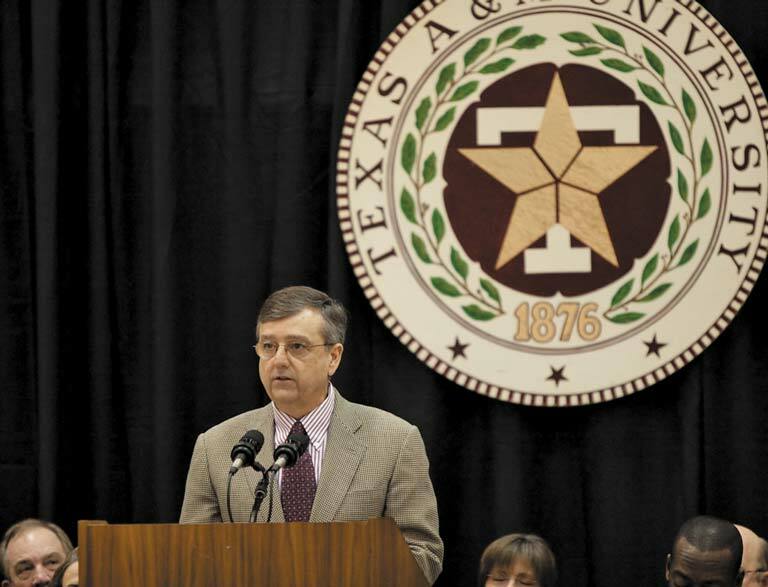 Yet, it should come as no surprise that Jerry Cox was honored for his loyalty toward Texas A&M. 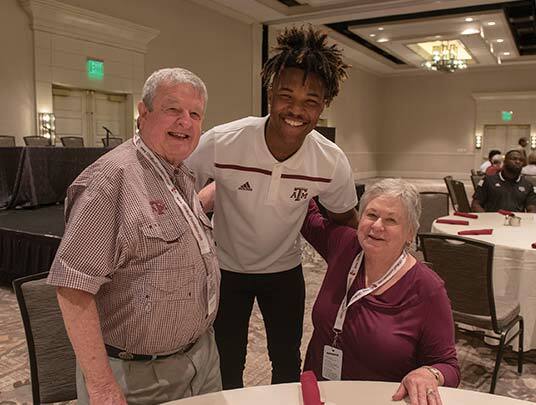 "Kay and Jerry Cox continue to support Aggie athletics at the highest level and inspire others to do so, as well," said interim President of the 12th Man Foundation Stu Starner. "As the volunteer chairs of the Championship Vision capital campaign and the Olsen Field at Blue Bell Park campaign, they were instrumental in improving our competitive position as we entered the SEC. Their impact on the Aggie student-athlete experience and the future of Texas A&M athletics has been profound." Cox has been the consummate Aggie supporter over the years, as he's been honored as a Texas A&M Distinguished Alumnus and served as the president of the 12th Man Foundation and chairman of the Texas A&M Foundation. 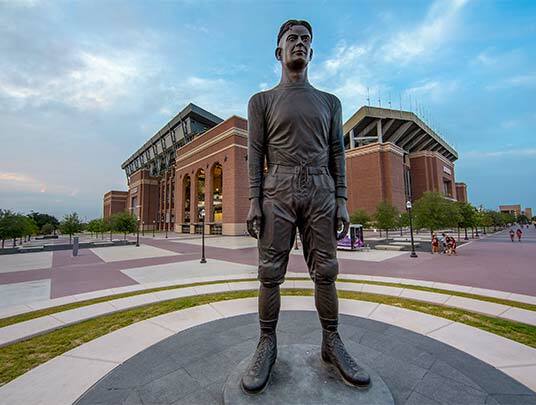 A member of the Corps of Cadets Hall of Honor, as well as the A&M Athletics Hall of Honor, Cox was influential in the development of the Lowry Mays School of Business and developing the plan for the Zone at Kyle Field. The Cox name also adorns the Cox-McFerrin Center for Aggie Basketball and the Diamond Club at Blue Bell Park. Indeed, it's been Jerry Cox's love for Aggie athletics that has been so prevalent over the decades in Aggieland. 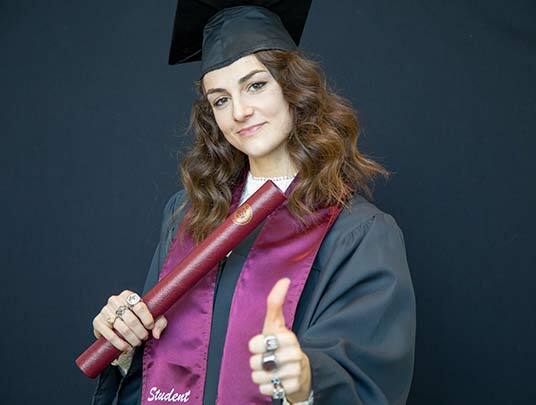 "It's clear that I have a real passion for A&M, but I have a real additional passion for athletics," said Cox, who graduated with a degree in finance from A&M in 1972 and also holds a master's degree in theology from Houston Baptist. "Athletics is something that is really important to me, and I have tried to focus in that area for a long time. "At the core of this whole issue, and I have contended for a long, long time that we could be better than we were, is that we are capable of and deserving of an elite status. But it takes a lot of hard work. I have had a passion for seeing Aggie athletics become one of the elite programs, and I think we're very close." Perhaps one of Cox's greatest attributes as an A&M supporter is his vision for excellence. Unfortunately, A&M had been handcuffed for years by a myopic view of its standing in the college athletics world. With the help of many other donors and loyal supporters, Cox has helped transform that culture. "I think the biggest thing that strikes me is we have an extraordinarily loyal and passionate fan base, but for the most part we've done a poor job communicating with them on what we need to do to become what everyone wants it to be," said Cox, the CEO of Houston-based Cox & Perkins Exploration, Inc. "I think we misjudged our information dissemination. Only in the last decade have we been brutally honest of where we are compared to others and the reality of what it's going to take to get to that level. "The positive thing is that once (the donors) were informed, the responded extraordinarily well. Prior to that time, I just think we did a very poor job of being honest with our people about where we were and what it's going to take to get it going." 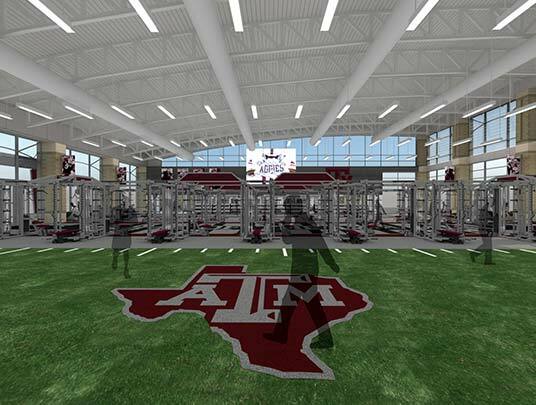 There certainly has been a concerted effort by the 12th Man Foundation and its donors to leap onto new levels of athletic fundraising, particularly with the unveiling of the Championship Vision capital campaign for athletic facilities in 2000. Over the last 12 years, the 12th Man Foundation has raised close to $200 million for athletic facility improvements across the campus. And now, A&M is in the midst of its most grandiose construction project in its athletic history, as the redevelopment of Kyle Field unfolds over the next three or four years. "It didn't just happen," Cox says. "We just didn't stumble onto the idea of, well, let's build a great big stadium. We have preceded that with almost $200 million of capital being raised to upgrade facilities all around it and to raise the elevation of success all around it, and now we're coming to the crown jewel. "I think we're on the very edge of true greatness, and I think we will realize it. I pay tribute to all those people who have worked so hard for the last 20 years in getting us here. We could not have fathomed taking on a project that could cost in excess of $400 million depending solely on the support of our fan base. Anytime in the past, we had to take baby steps and put the foundation together, and I pay tribute to all those people over the last 20 years who worked so hard to put all the fundamentals in place to where we can legitimately tackle a project like that today." A&M has won multiple national titles over the last four years, and the 2011 women's basketball national championship trophy sparkles in the Lohman Lobby of the Cox-McFerrin Center. And with A&M's move to the Southeastern Conference, along with the excitement surrounding Kevin Sumlin's football program, there is a true sense that, indeed, it is time for Texas A&M. Certainly Jerry Cox's support will fall in line in the spirit of E. King Gill. "I'm just glad to see us finally realizing the dream and waking the giant and being what everyone thought we could be," Cox said. "And it's now becoming a reality, and that's exciting to me. "There's a new day dawning, and we now have the fiduciary duty and responsibility to be sure that we follow through and knock the door down. We're there and we've knocked on it, but now we have to knock it down. And the way we do that is we broaden our constituency that understands what the needs are and are willing to step up. And we're very close." 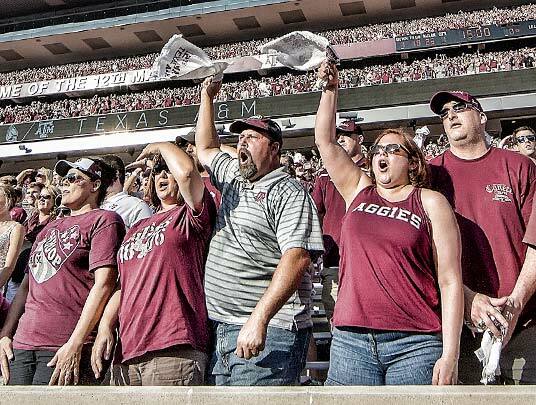 "Kay and Jerry Cox continue to support Aggie athletics at the highest level and inspire others to do so, as well."